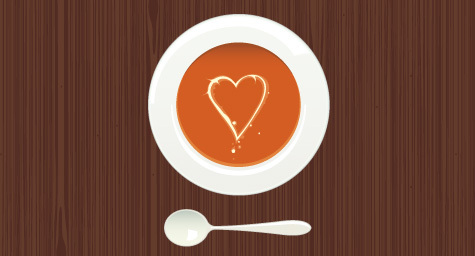 Heinz recently developed a consumer advertising campaign for Facebook that let fans create personalized “Get Well” labels for its Heinz Classic soups and then send them to friends and family. The campaign was designed to deepen the engagement levels of the brand’s loyal customers by reminding them that when someone is ill, Heinz is the best medicine. eMarketer.com recently reported on how the innovative campaign significantly drove interactions, “likes” and purchases. Heinz decided to create the one-month campaign for Facebook because of the platform’s powerful social sharing abilities. 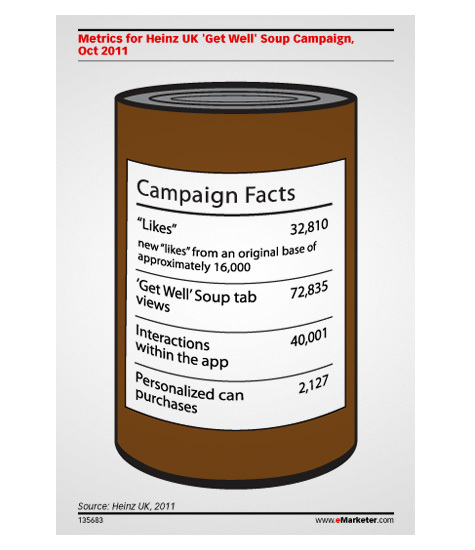 The campaign was promoted almost completely through the Heinz Soup UK Facebook page. Before its official launch, the promotion was teased to fans in advance and featured in a few Facebook ads. The campaign consisted of letting consumers purchase a can of Heinz Classic Cream of Tomato Soup or Heinz Classic Cream of Chicken Soup directly on Facebook, and then allowing them to personalize the iconic Heinz label with a recipient’s name. The customized cans were created and delivered to the recipients. The results were remarkable. More than 2,000 personalized cans were purchased and the Heinz UK Facebook page received 32,810 new “likes,” which was more than double its base of about 16,000. The campaign’s success was attributed to leveraging the social and interactive qualities of Facebook, along with rewarding fans with an exclusive offer. To learn about incorporating innovative social media strategies, contact MDG Advertising.